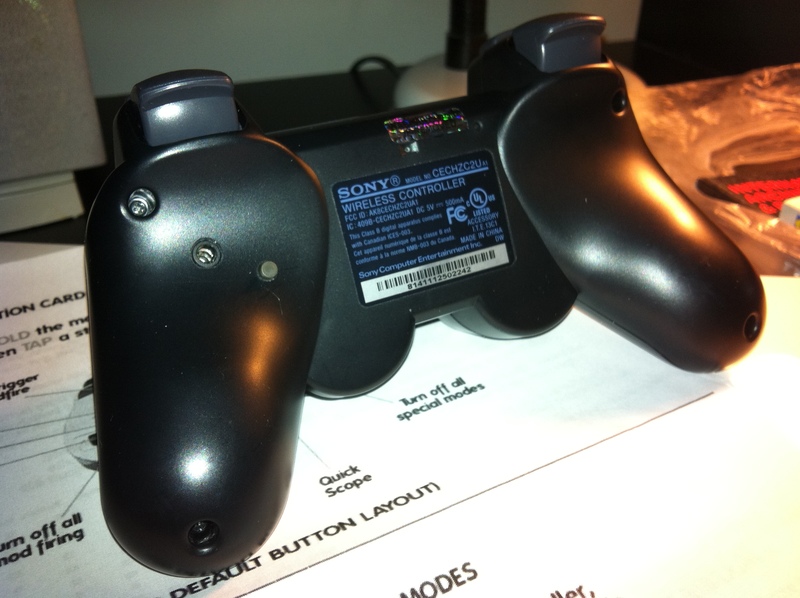 I recently received a modded PS3 controller from Viking360 (Xbox360 modded controllers are also available. The one controller I received in particular is the black PS3 modded controller called the Ragnarok with USB option for $129.90USD while a non USB version is $99.95USD. At first glance, the Ragnarok controller looks exactly like a regular PS3 controller. The only difference is the extra tiny mod switch on the back of the controller. I had sometime to test out the different modes like burst fire, jitter mode, akimbo mode, rapid fire, timed reload (they call it Fast Reload) where you can control the timing of your reload. All of these modes are designed specially for the Call of Duty series and may work for ParaMarine Task Force as per the details on the site. The first few tries of switching modes weren’t as smooth and I had to really find a relatively quiet spot to switch between them, you can learn more info hereto find out how I got it done. But it became second nature soon enough. I’m not going to go into too details on how to switch modes but I will talk about one of them just to give you an idea. For example, for rapid fire mode, all you have to do is hold the mod switch and hit the R1 button, you will see Player 4 LED flashes which tells you that the controller has received your command. You are now in rapid fire mode and you can now fire any single shot weapons like the FAL as if it was a SMG or LMG. Another feature I want to briefly mention is the Zombie mode which offers auto-aim with or without rapid fire support. This might come in handy for those having trouble with much higher stages. In the details section on the controller’s page, you will notice something called Phantom Buttons. What this Phanton Buttons means is that, changing modes will not cause you to fire a single shot so that you will not be giving away your positions while you switch in between modes. Call of Duty players like me who really care about stealth and not firing random shots will appreciate this little feature. The features go on for this Ragnarok controller and with this USB version you can even program, for example, your Rapid fire Mode to fire from 5 shots up to 99 shots per seconds. I personally think 99 shots per seconds is an over kill but the option is there for those that need it. Overall, the Ragnarok does well for what it offers, I have not noticed any problems or glitches while testing this with Call of Duty: Modern Warfare 3 and Black Ops. Pretty solid piece of modded controller. Again, I apologize for not going into too detail on each modes and how you can program the modes through the USB and your computer. I feel that the default settings for each mode is more than enough for the majority of players out there. Again, the options are there for those who need it. *Single star features designed for Call of Duty, may work with others. **Two-star features only work with Call of Duty games. +Plus means Jitter mod and Fast Reload patched in MW3. ALL OTHER FEATURES COMPATIBLE.